Not as bad as was feared, is the verdict. Aimed at discouraging tax evasion, the Indian government's dramatic demonetization of Rs500 and Rs1,000 notes in November 2016 effectively nullified 86% of the country's banknotes, withdrawing US$207 billion from circulation. This move was expected to bring the property market to a standstill, as home buyers typically pay 30-40% of a home's value in cash and the practice of paying for properties in cash to avoid taxes is pervasive. But fears of a post-demonetization property slump have dissipated, with demand already picking up. Sales across India's top 9 cities increased by 19% to 51,715 units in the January-March 2017 period compared to a fall of 20% the previous quarter, according to real estate advisory firm PropTiger. This is not to say that demonetization didn't deliver a considerable shock to the economic system. It certainly did. And not only in real estate, but right through the economy and even abroad, as Indians with 'surplus cash' sought to move money offshore to the traditional Indian bolt-holes such as Dubai and Mauritius. Indeed one of the most obvious results of demonetization may be an increased appetite by Indians for foreign assets, foreign investments, and foreign properties. In the weeks following the implementation of demonetization there was a lot of uncertainty and a significant real estate slowdown. In the final quarter of 2016, India's eight major cities registered a 44% drop in sales volumes y-o-y, to the lowest level since 2010. In contrast the first half had seen more than 135,000 units sold, a 7% increase y-o-y, according to Knight Frank. In the third quarter, sales had also held up, with around 67,000-68,000 units sold on the back of the festive season. There has been a shift in buyer's preferences towards ready-to-move-in projects. Realtors were receiving inquiries and bookings in March 2017 even though it is the last month of a fiscal, when demand is usually subdued. Residential property prices have risen strongly in India in recent years (see our home price charts for India). Rents have not kept pace, so it is hardly surprising that the gross rental yield - i.e., the percentage return on your purchase of property - is low in India's major cities. 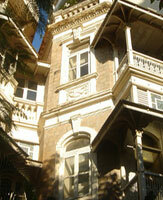 South Mumbai has very low rental yields, with property investors earning around 2.40% gross. Apartments remain expensive, at about US$10,900 per square metre (sq.m.) for 120 sq.m. apartments, making Mumbai the world's 13th most expensive city for the property buyer. It is unlikely that after costs and depreciation a property buyer will make any return on his property. In New Delhi, prices per sq. m. are of course much lower, despite the continuous price rises in that city. In 2017, the price per sq. m. of a 120-sq.m. apartment in New Delhi was between US$2,000 and US$4,500. Gross rental yields in Delhi are extremely poor, at around 2.00% gross. In Bangalore, prices are around US$700 to US$1,500 per sq. m. Rental yields are higher in Bangalore, ranging from 3.35% to 4.12%. Again, this is a long way below the nice yields of 7.16% to 9.92% which could be obtained way back in the year 2007. In Calcutta, prices per sq. m. range from US$700 to US$2,100 per sq. m. Rental yields are higher than in New Delhi, ranging from 2.80% to 4.00%. Conclusion: Indian gross rental yields are very low. This suggests that Indian residential property is somewhat overvalued. While low rental yields do not always indicate over-valuation, especially in periods when interest rates are low, they are only justified if rapid economic growth is expected, and also, if there are sufficient restrictions on new building to prevent the market being flooded with new properties as prices rise. The buyer must ask himself whether these two conditions are met in India. Rental Income: Net rental income is taxed at progressive rates, from 10% to 30%. Capital Gains: Capital gains are taxed at the standard income tax rates. Inheritance: No inheritance or gift tax is levied in India. But a wealth tax of 1% is imposed if the net wealth exceeds INR10 million (US$147,059). Residents: Residents of India are subject to tax on their worldwide income at progressive rates, from 10% to 30%. Total roundtrip transaction costs, i.e., the cost of buying and selling a property, are between 8.75% and 15%. Stamp duties and registration fees vary according to city and locality. Rent Control: For Delhi, the maximum annual rent is 10% of the cost of construction and the market price of the land. But both construction cost and land price are based on historical values, not on the property's current market value. Tenant Security: It is difficult for a landlord to protect his property from unwanted overstaying tenants. Though contracts may be enforceable in the courts, the enforcement process is likely to take years, or even decades. Despite the removal of around 86% of India’s banknotes in circulation, India's economy remains robust. GDP rose by 7.6% in 2016, ahead of China’s 6.7% growth. The International Monetary Fund (IMF) expects India’s GDP to grow by 7.6% in 2017, and to 7.7% in 2018, when the impact of the demonetization has dissipated and replacement banknotes have entered circulation. India’s labour market reflects the country’s strong pace of economic expansion and the government’s efforts in providing new employment opportunities in rural areas. The country’s unemployment rate fell by half this past year, from 9.5% in August 2016, to 4.8% in February 2017.